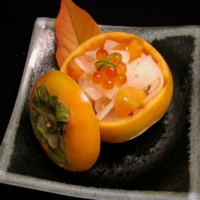 Citrus vinegar dressing on mix of Persimon, Daikon, Carrot and salmon roe in Japanese decoration. 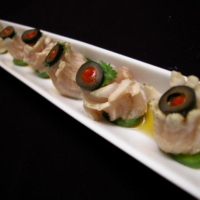 Steamed Monk Fish liver with Ponzu and spicy sauce. 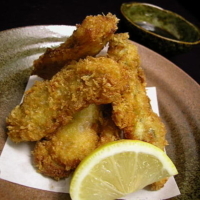 Deep Fried Breaded Oysters with Japanese Tonkatsu-sauce. 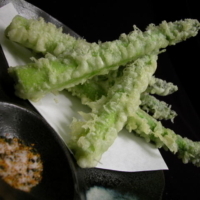 Deep fried Asparagus with special salt of Japanese seven spices and sea salt. 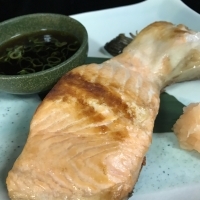 Fairy Squid with Ginger Shoyu sauce. 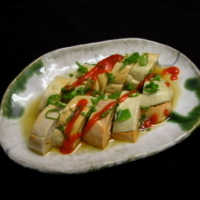 Deep Fried Squid marinated in soy sauce and ginger sauce. 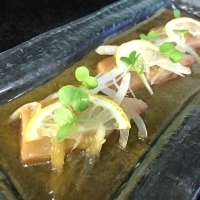 Thinly sliced Beef with onion cooked in Ginger shoyu sauce.